Lovely, elegant and simple! 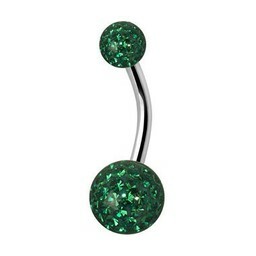 This sparkling navel piercing set with peridot green Swarovski Elements will go beautifully with every bikini. 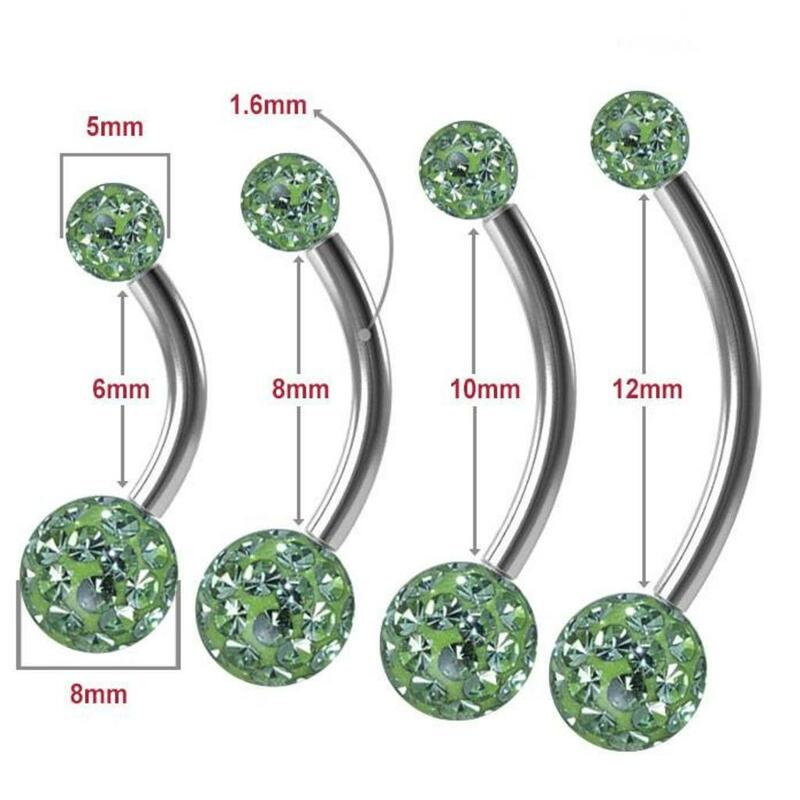 This piece has a banana barbell with a thickness of 1,6mm and is available in the lengths: 6mm - 8mm - 10mm - 12mm. 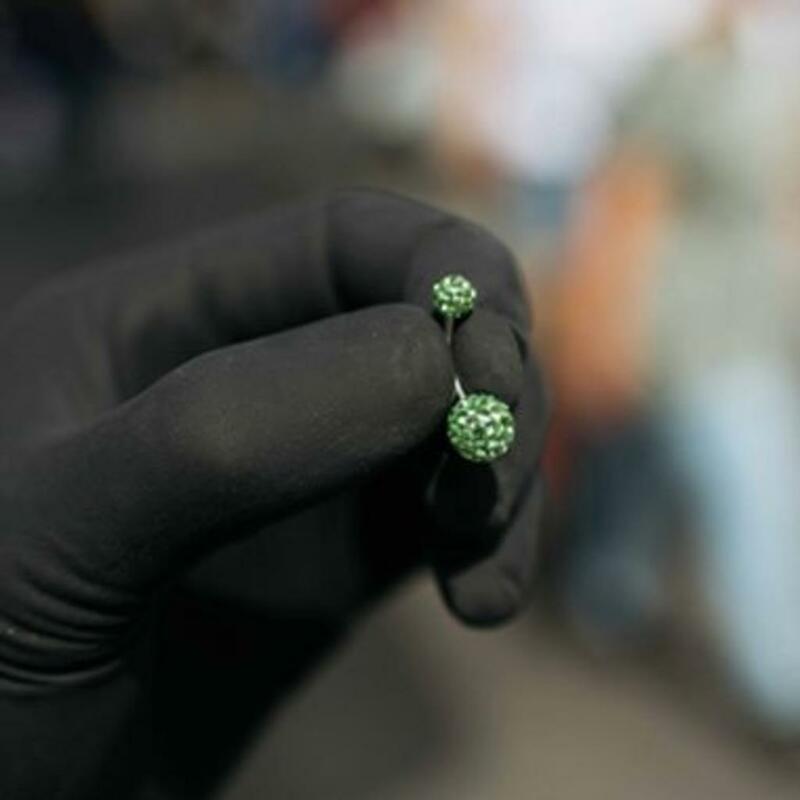 The balls have diameters of: 5mm and 8mm. Furthermore, this piece is provided with a screw-on ball, which is also inlaid with Swarovski Elements. There are also versions with a titanium or a (transparent) bioplast banana barbell. This piece includes one year guarantee on the crystals! 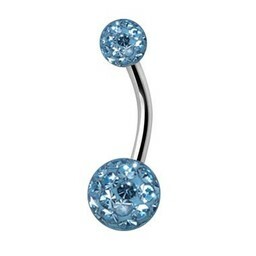 The belly ring is made of 100% surgical steel 316L. The alternative versions are made of titanium or bioplast. Bioplast is a hypoallergenic material which is ideal for people who are over-sensitive or allergic to metals. The material is also flexible which provides extra comfort.